Tesla Chief Designer Franz von Holzhausen says that they designed the Model 3’s interior to “age gracefully”, which could actually help with its resale value in the long-term as cars are expected to change a lot in the next few years with the advent of self-driving and car-sharing. 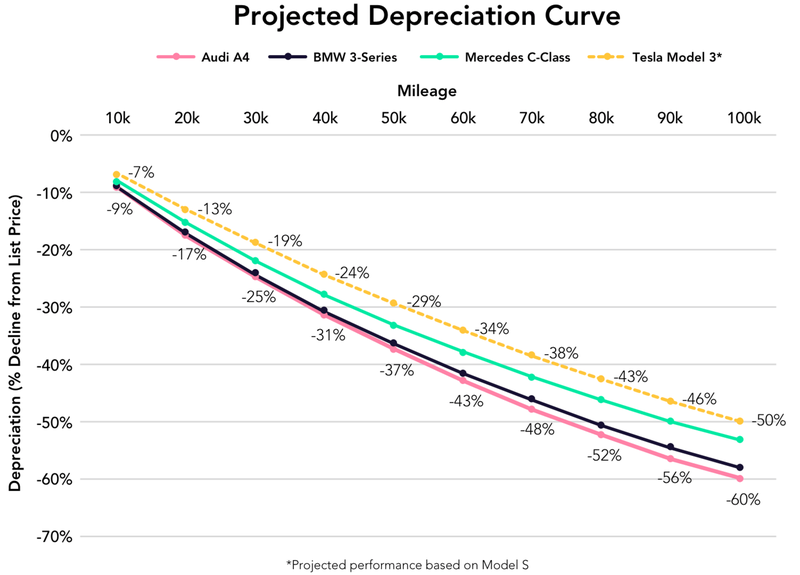 Interestingly, a new report trying to project the Tesla Model 3 depreciation curve now suggests that it will be “best-in-class”. Autolist, which previously released a report suggesting that the Tesla Model S is retaining its value better than gas-powered cars in its segment – losing only 28% after 50,000 miles, used its data to make the projection in a new report: 3’s Company. A lot of it can be explained by the Model 3’s specs hitting the mark when it comes to consumer expectations for EVs in that price range. Autolist also surveyed over 14,000 individuals to learn what matters to EV buyers and matching the consumer preferences with the Model 3’s specs. Of course, most EV owners will tell you that range anxiety is concern that has been blown out of proportion. The average car owner drives fewer than 50 miles per day, which makes those more than 40% of respondents asking for over 400 miles seem excessive. The second-biggest concern is cost and that’s definitely a legitimate problem. Tesla started production of the Model 3 with the premium package and long range battery pack, which brings the base price to $49,000. That’s not exactly affordable, but Tesla says that they plan to start production of the standard interior and battery pack later this year. It will bring the base price to $35,000, which is just over the average car sale price in the US and much more affordable, especially after you account for gas-savings and other potential EV incentives based on your market.